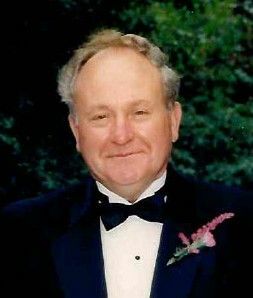 John William Lane, of East Hampton, CT passed away in the early morning hours on March 3rd at Backus Hospital in Norwich, at the age of 79. He was born to John and Lelia Lane on May 12, 1938 in Gate City, VA. John was an only child and grew up exploring the Virginia countryside. Growing up on a rural tobacco farm instilled in John both a strong work ethic and a desire to explore the wider world. In the fall of 1956, John enrolled in the Nuclear Engineering program at the University of Tennessee and graduated in 1962. John then began a lifetime career at Pratt & Whitney and United Technologies working in Middletown, East Hartford and Windsor over the next 32 years. John worked on innovating technology developing fuel cells. During his years there, he earned many patents for his employer. John also had the privilege of visiting many off-site locations including a particularly memorable visit to Osaka, Japan in 1972. John retired in 1994 but continued working as an independent contractor for United Technologies, training new engineers about fuel cells. He visited with his daughter in CA on one trip to consult on a plan to utilize waste from cattle as a power source. In March of 1967 John met his future wife, Carol Ward, in Killington, VT whom he married just as the leaves began to change color that fall. The couple settled in East Hampton, CT and soon became the parents of two children, Laurie and John Jr.
John was an avid outdoorsman who enjoyed hunting for pheasant, turkey and deer, and fishing off his boat or from land with friends, family, by himself or with one of his dogs. He was a strong snow skier and water skier in his younger years and enjoyed teaching those skills to his children. John was a devoted family man who enjoyed summer visits to Virginia to see his family, spending time with Carol’s family at their home in New Jersey and vacationing in Cape Cod, MA. John was preceded in death by his parents, John and Lelia Lane. He is survived by his children, Laurie Lane Mann of Jamul, CA and John W. Lane Jr. of Baltimore, MD, his ex-wife, Carol Lane of East Hampton, CT and his faithful Black Labrador, Oakley. John made many friends during his years spent in East Hampton, in the Sportsman’s Club, working at United Technologies, and around town at his favorite local eateries. To leave online condolences please visit www.spencerfuneralhomeinc.com.